Hadn’t quite mastered the “pose next to car” stance in 1985. I actually had three cars before I got my driver’s license. Blame my two orders brothers, both certified grease monkeys who averaged owning about 4 cars each during my teen years (when they were in their early 20s). 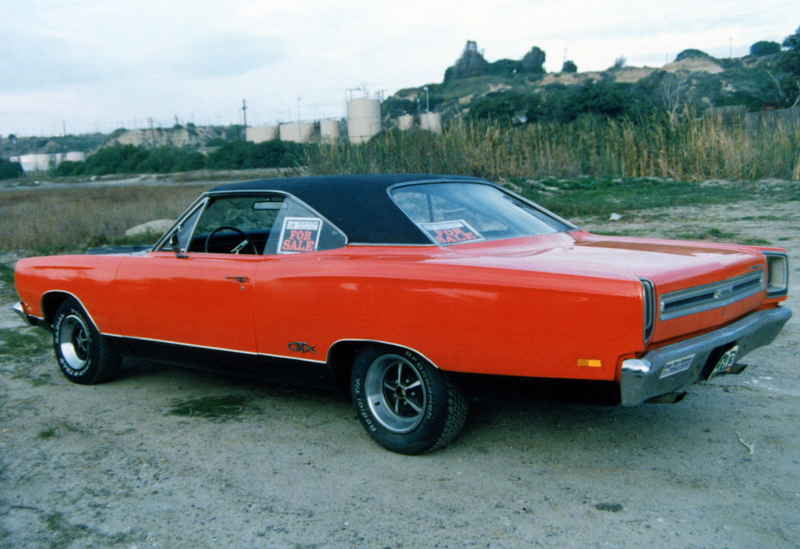 Technically my first car was a primer gray 1966 Dodge Coronet 500 with no drivetrain. The dream was to drop in a 440 and make it a killer street car. 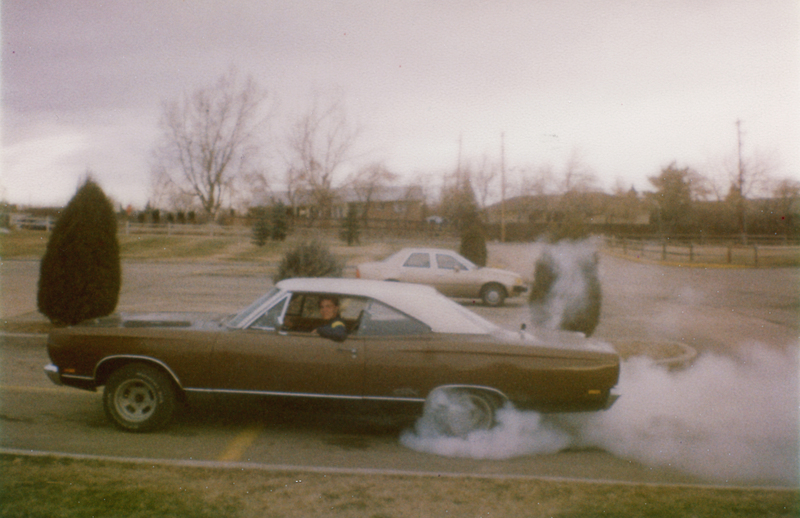 Then I found an all-original B5 blue 1968 Dodge Charger R/T and forgot all out the Coronet 500. But the Charger had a seized engine, massive quarter panel rust and no title (bought it for $200 from a salvage yard). 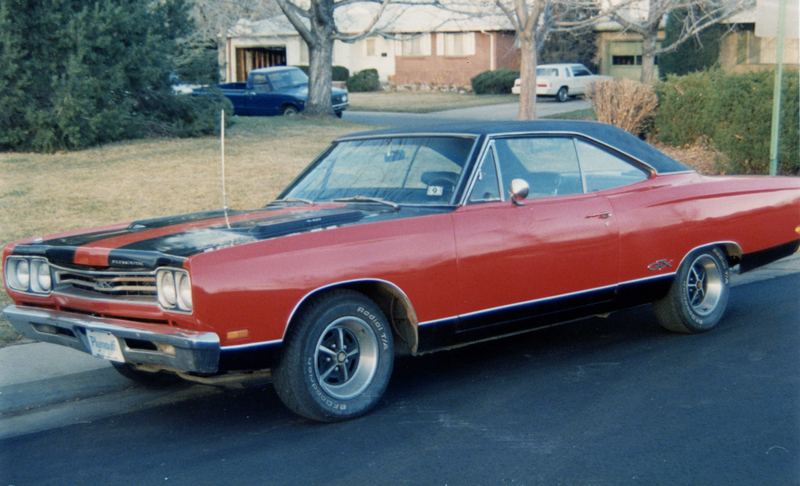 I had visions of making it a killer street car before I spotted a 1969 Plymouth GTX on a used car lot while (no joke) coming back from passing my driver’s permit test. Unlike the previous two cars, this one was complete and ran. 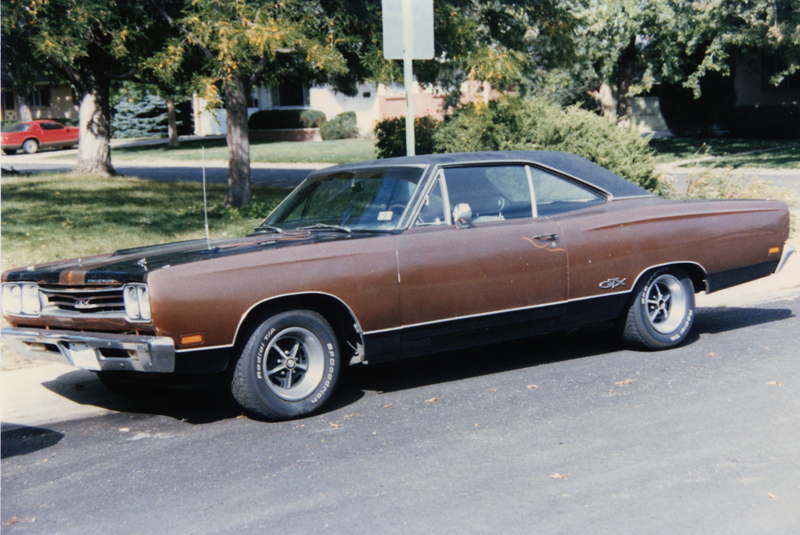 So while it technically wasn’t my first car, the 1969 Plymouth GTX was my first running car. The car ran “fine” when my dad test drove it. 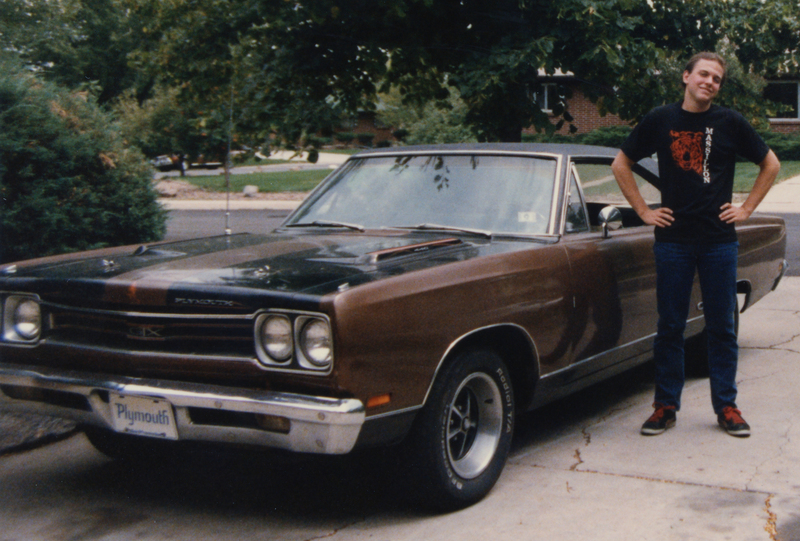 He floated me a loan and we brought the GTX home (he had to drive because it had a 4-speed manual, and at 15 and 6 months I didn’t yet know how to drive a manual). When we got home my older brothers sauntered out to see “what the kid got.” They immediately piled in and we all went for a ride (me in the back seat). After flooring it a few times my brother Mark could tell it wasn’t running quite right. We went home, popped the hood and they quickly spotted the Mallory dual-point ignition. “Oh man, it’s got a Mallory distributor” my brother Erik remarked with disgust. Ten minutes later the GTX had a factory Chrysler distributor complete with Erik’s special distributor recurve treatment. My brothers then drove me to the deserted roads north of Arvada, Colorado and taught me how to drive a manual transmission. I could already ride a motorcycle so I already understood the concept of a clutch. “Now it’s the left pedal instead of the left lever Karl” was all they had to say. It only took about 10 minutes and I had the process down. I also immediately recognized how F-A-S-T the GTX was. The Mallory distributor was the least of its modifications. 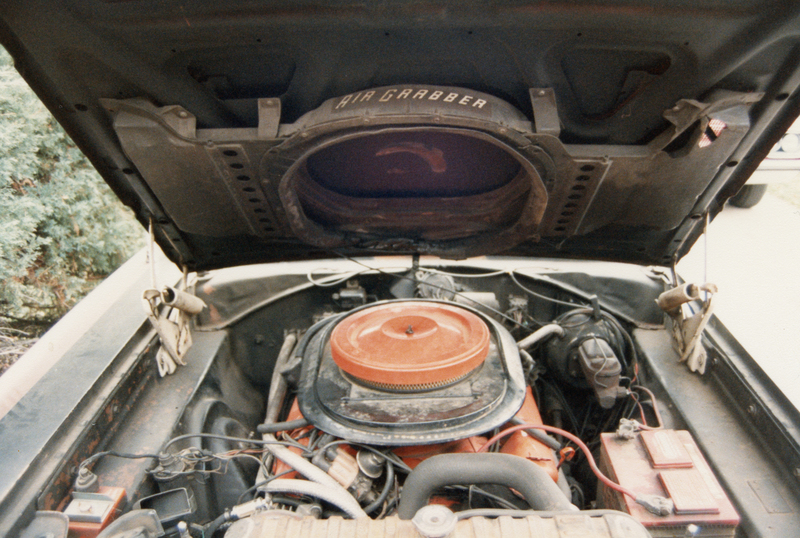 The car had headers, a hot cam, an Edlebrock intake manifold, a Holley 750 cfm double-pumper carb and, my brother suspected, at least 11-to-1 compression based on how he had to time it for pump gas. 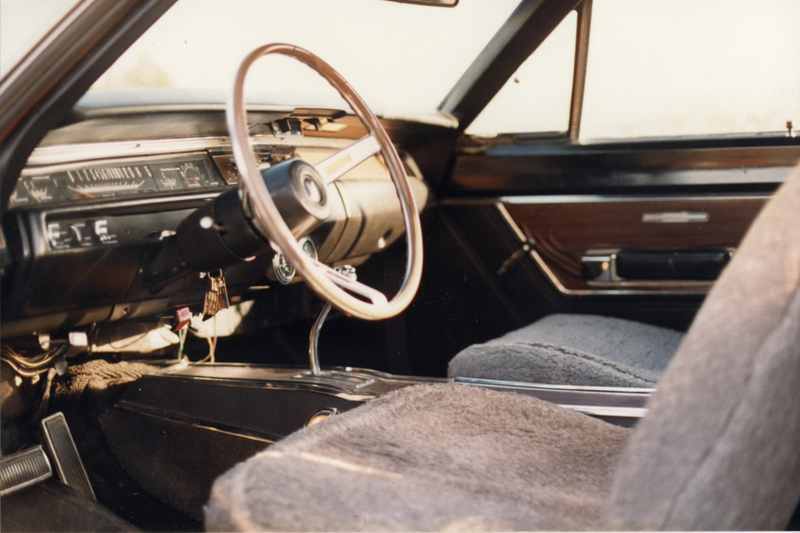 A few weeks later, with Erik driving, we were cruising West Colfax when a 1955 Chevy Bel Air, in primer gray with a giant Harwood hood scoop, revved its engine and egged my brother on. Erik’s hand drifted toward the shifter, then he quickly dropped from 4th to 2nd, floored it, and both cars’ engines screamed toward redline. It was a close race, but my GTX slowly edged away from the Chevy. At that time I’d already seen American Graffiti several times, and the parallels between the scene when Milner first goes up against Falfa and what I’d just experienced was palpable. It’s a moment I’ll never forget, because it’s when my automotive enthusiasm fully crystallized. In that moment I loved powerful cars, screaming exhaust notes and racing more than anything else. 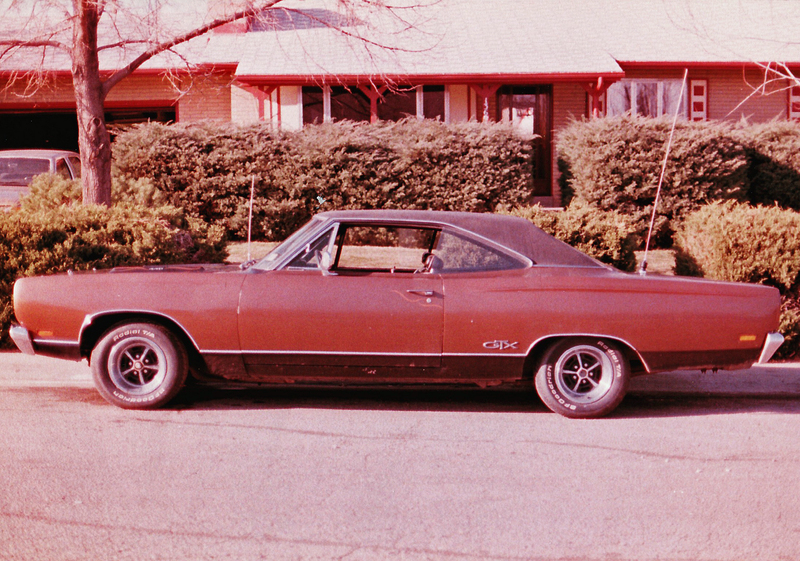 I sold my 1969 Plymouth GTX just under 3 years after buying it in January of 1988. I was having trouble managing both a 1970 Plymouth GTX and a 1969 model on my high school budget. I had been accepted to Pepperdine University, which meant I’d be moving to California shortly after high school. 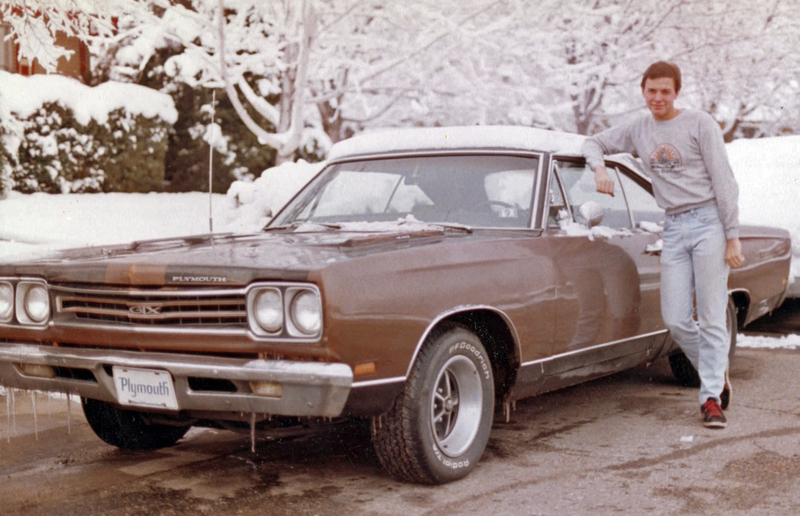 During Christmas break of my senior year, just after getting the acceptance letter, I drove the 1969 GTX to Los Angeles to see the school and sell the car. I accomplished both, selling the GTX to a muscle car dealer in Brea. 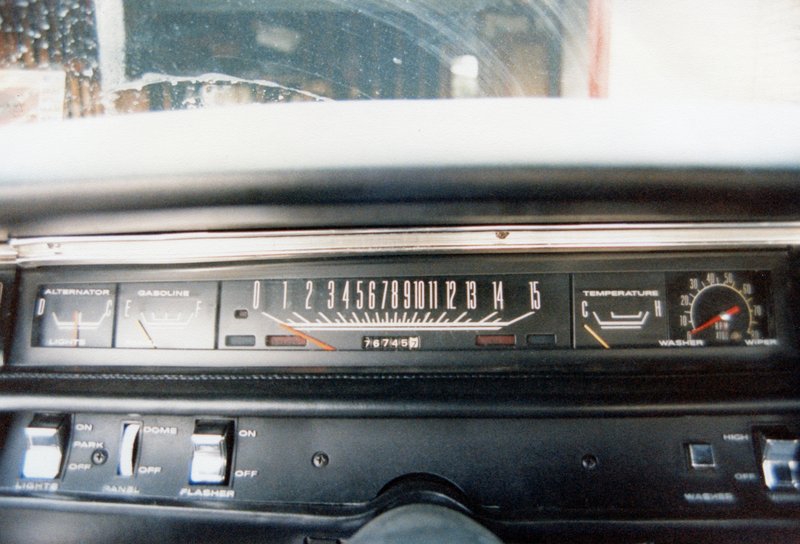 I’d paid $2,200 for the car in April of 1985, and I put at least $1000 into it between mechanical and cosmetic work. I was hoping to get at least $3,000, but after having no luck with private buyers (we’d put an ad in the Los Angeles times before we drove out from Denver) I figured the dealer offer for $2,500 was my best, last hope to unload the car versus dragging it back to Denver. About 9 months later, after moving to Los Angeles for college, I went back to the dealer where the car was still sitting on his lot. He was asking $5,600.